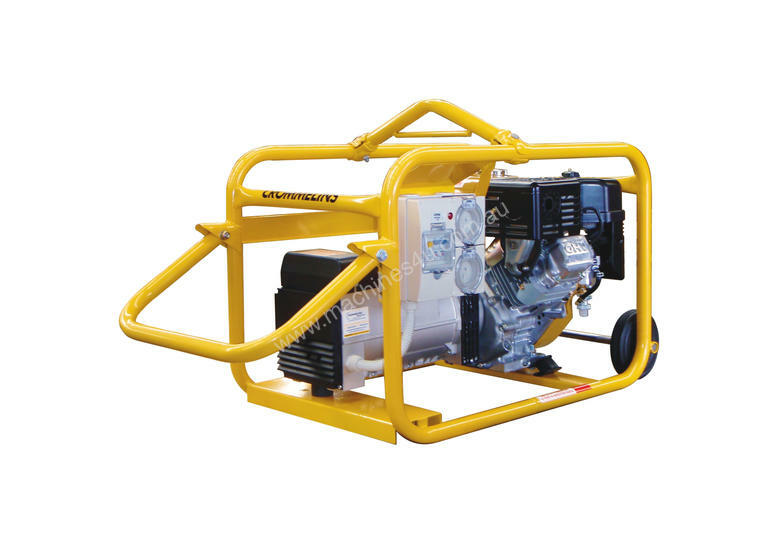 A petrol powered, 8.5kVA Generator, with hirepack (2x wheels, 2x weatherproof outlets, RCD circuit breakers, ground spike, lifting hook, folding carry handle), assembled and tested in Australia. This model replaces the P80. It will power most medium equipment used in the Agricultural, Construction and Hire industries and can be customised specifically to your needs. Eg. Electric start, 4x wheel kit, long range fuel tank.